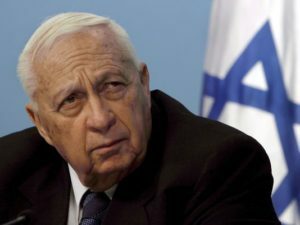 WASHINGTON — Ariel Sharon, a longtime military and political leader of Israel, passed away on January 11th after spending eight years in a comatose state. Sharon suffered a severe stroke in 2006 and had been in a coma ever since. He was 85 years old. News outlets like CNN reported that he was not a stranger to controversy in politics or in the military. He was a hero in the Six Days’ War when he crushed an Egyptian army contingent in the Sinai peninsula in 1967, but one of his bigger achievements came when he defeated the Egyptian Third Army in the 1973 Yom Kippur War and crossed the Suez Canal. He had also commanded forces that made a semi-permanent foray into Lebanon and a commando force that raided a suspected Jordanian terrorist camp. Sharon was instrumental in allowing Palestinians to rule autonomously from the Gaza Strip and the West Bank along with allowing Israeli settlers to establish towns in these territories. He was the country’s prime minister until he suffered a massive stroke and remained in a coma from then until his death.